When travelling, you might be eligible for get VAT refund on your purchases. It can save you substantial amount of money, especially if you are doing some serious shopping when travelling. VAT or Value Added Tax is a sales tax that is added to the price of most goods and services. 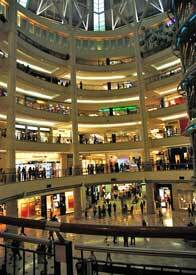 According to Wikipedia tax free shopping is available in over 320,000 stores in over 40 countries around the world. It is estimated that around 52,000 people worldwide claim back VAT every day. 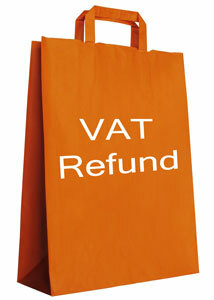 Who Can Get VAT Refund? All travelers living outside the European Union can claim the VAT back in all countries that refund VAT. While travelers living inside the European Union can only get VAT refund from countries outside the European Union. For example, traveler living in the UK cannot get VAT refunded from goods purchased in Germany as both countries are in the European Union (EU). She can however get refund from goods purchased in Japan (as outside the EU) or Iceland (as in the European Economic Area but not in EU). While a person living outside EU, like USA, China or Australia can get VAT refund from all countries that refund VAT. See full list of countries that offer VAT refunds at the end of this article. The easiest way to claim back VAT is to shop in stores that are part of global VAT refund service network. You will recognize them by the “Tax Free Shopping” or “Premier Tax Free” banner displayed in their shopping window. There are two main global refund services. Global Blue (former Global Refund) is the larger, representing over 270,000 merchants in 37 countries. While Premier Tax Free represents over 75,000 merchants in 21 countries. You do not decide which refund service to use, that depends on which network the store you shopped in belongs to. If the store you shop in is not part of either network, you will have to claim the VAT directly back from the store. That usually takes both time and effort, and it is not guaranteed you will succeed. Some shops might be unwilling to do this. You might feel this is not worth the hassle unless you are claiming substantial amount back. We will from now on assume that you are claiming your VAT refund back from one of the global refund services. How Much Will You Get Refunded? The refunded amount depends on the VAT tax rate in the country you bought your goods. For example in Europe, the VAT varies from 15% to 25% between countries. This means between 13% to 20% refund from the purchased amount. If the VAT rate is 25% and the purchase price with VAT is €100, then the VAT is €20, or 20% of the purchase price with VAT, i.e. €80 + 25% VAT (€20) = €100 and €20 is 20% of €100. You will receive this refund amount, minus the handling fee for the global refund services. The Global Blue's Refund Calculator is quick and easy way to find out how much you can save on your tax-free shopping. How To Get VAT Refund? It has never been easier to claim the VAT back, thanks to the global refund services. The process involves three steps. Look for shops that are part of global refund service network. You will recognize them by the “Tax Free Shopping” or “Premier Tax Free” banner in their shop window. When you pay for your purchase ask for VAT refund form. The process is advancing all the time, many shops now print already filled out refund form directly from the cash register, i.e. you only need to fill in your personal details. When you leave the country, you take your VAT refund form(s), receipts, passport, and purchases to the customs desk and they stamp the refund form for you. Most countries allow travelers to bring in tax-free goods up to certain amount, check the rules in your country prior to making any big purchases abroad. You can get the refund put on your credit card but the easiest way is to get it immediately in cash at the airport. Most international airports have refund points or partners (e.g. bank) that will refund on the sport. Global Blue and Premier Tax Free usually have their refund points statically located near the duty free shops. Just present your stamped tax free form with the original shop receipts and show your passport to receive the refund in cash. Sometimes you can chose in which currency to receive your cash but sometimes they only refund in local currency. If you travel regularly to the country or are planning to do some duty-free shopping, then local currency could be fine. However, if you will have to exchange it to your own currency, refund onto your credit card is a better option. You can also mail the documents to the global refund service after you get home, e.g. if you for some reason did not have time to get your money at the airport. 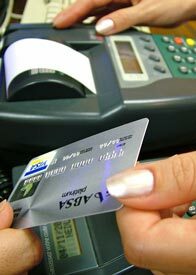 You will then receive the VAT refund on your credit card in due course. Saving money has never been easier or more fun! Ps. are you in the mood for more travel money saving advice? Check our article on how to Save Money On Travel Insurance. Countries that currently refund VAT are: Argentina, Australia, Austria, Belgium, Croatia, Cyprus, Czech Republic, Denmark, Estonia, Finland, France, Germany, Greece, Hungary, Iceland, Indonesia, Ireland, Israel, Italy, Japan, Korea, Latvia, Lebanon, Liechtenstein, Lithuania, Luxembourg, Mexico, Morocco, The Netherlands, Norway, Poland, Portugal, Singapore, Slovenia, Slovakia, Spain, South Africa, Sweden, Switzerland, Thailand, Turkey and the United Kingdom (Source: Wikipedia October 2011).